Birds trill from perches in low-growing bushes while water ripples through the creek and waves lap the nearby shore. Hikers explore nature trails along San Diego Bay, catching glimpses of resident wildlife and wildflowers, while investigating an old gunpowder factory’s remnants. Children laugh and chatter as they watch native sea turtles swim around their viewing tank, vying for visitors’ attention, while passing boats hum through adjacent waters. Every time I visit Chula Vista’s Living Coast Discovery Center (formerly Chula Vista Nature Center) I’m struck by a sense of utter peace and tranquility. It’s one of San Diego’s hidden gems, a scant 6 miles from the hustle and bustle of downtown San Diego, nestled in Sweetwater Marsh within San Diego Bay National Wildlife Refuge. While the center’s focus is on teaching visitors, especially children, about the coastal environment and local waters, it provides opportunities to interact with native animals and plants living in and around the bay. Kids can pet rays in the pool or talk to an eagle or owl at feeding time. It’s also an ideal place for boating families to learn about the health and ecology of the ocean and bay, and meet their neighbors residing on and around local waters. Best of all, you can experience its exhibits in an hour or two and return another time to hike its trails. Even though this combination nature center, aquarium and zoo is such a special place, it’s only through the generosity of local donors and good neighbors including Marine Group Boat Works that the center has survived two recent closure threats. Both times, in 2008-9 and 2013, the community rallied and helped this beloved resource transition from a taxpayer-supported facility into a nonprofit and raised sufficient funds to give the center a new lease on life. Marine Group, with its headquarters within hailing distance across the cove, was among the first to offer financial help when circumstances looked dire for the center and its native seabirds, raptors, fish and reptiles, most of which can’t be released into the wild. For the last six years the boatyard has purchased and arranged for delivery of food for the center’s resident population. Marine Group is covering the center’s 2015 food budget of about $26,000, including daily public feedings for the center’s eagles, sea turtles, rays and sharks. “With the Marine Group taking care of the animals’ basic needs, we can focus on the animals’ other needs,” explained development manager Jessica LaFave. Yet Marine Group provides not just financial assistance, but also staff expertise for marketing and promotion, help with marsh cleanups, supplies for volunteer programs and even special signage, said Sherry Langston, the center’s director of communications and guest experience. Herb Engel, Marine Group’s CEO, serves on the Living Coast’s board of directors. Todd Roberts, Marine Group’s president, explained that the center’s educational mission aligns with the boatyard’s interest in ensuring that people have access to coastal waters and a commitment to keeping those waters clean and healthy for all to enjoy. Polluted water is bad for everyone, especially those in the marine industry, he said. “It also didn’t seem right to sit here and see our neighbors suffer when we could help,” he explained. The boating public can also assist by becoming members of the nonprofit and checking out the center’s animal wish list on its website. “One of the best ways to support us is just to come visit and see our animals,” Langston said. 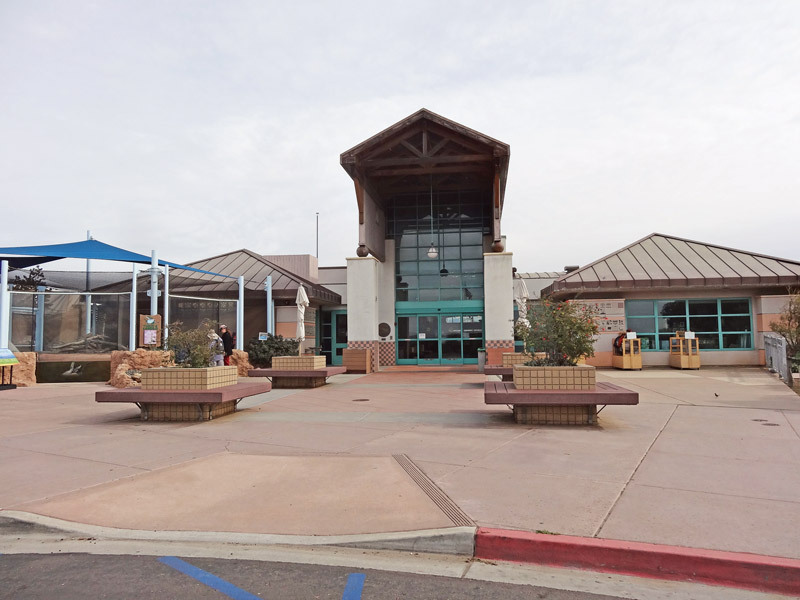 The Living Coast Discovery Center is located off I-5 at 1000 Gunpowder Road, Chula Vista. For more information, visit thelivingcoast.org or call (619) 409-5900.